Paul Walter; (Robert Hershkowitz, Ltd., Sussex, England); NGA purchase, 2003. 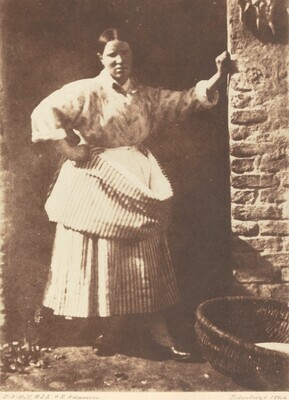 Stevenson, Sara. David Octavius Hill and Robert Adamson: Catalogue of their Calotypes Taken Between 1843 in the Collection of the Scottish National Portrait Gallery. Edinburgh, 1981: 197, Newhaven 19.